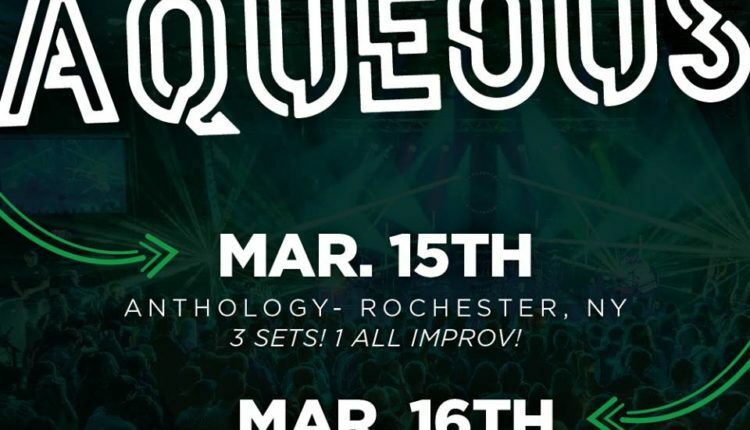 Buffalo based band Aqueous will be returning to the East Coast from a co-headlining tour with BIG Something with dates in Rochester and Erie, PA. March 15, the band will play three sets of music at Anthology in Rochester, one set being all improvisational. 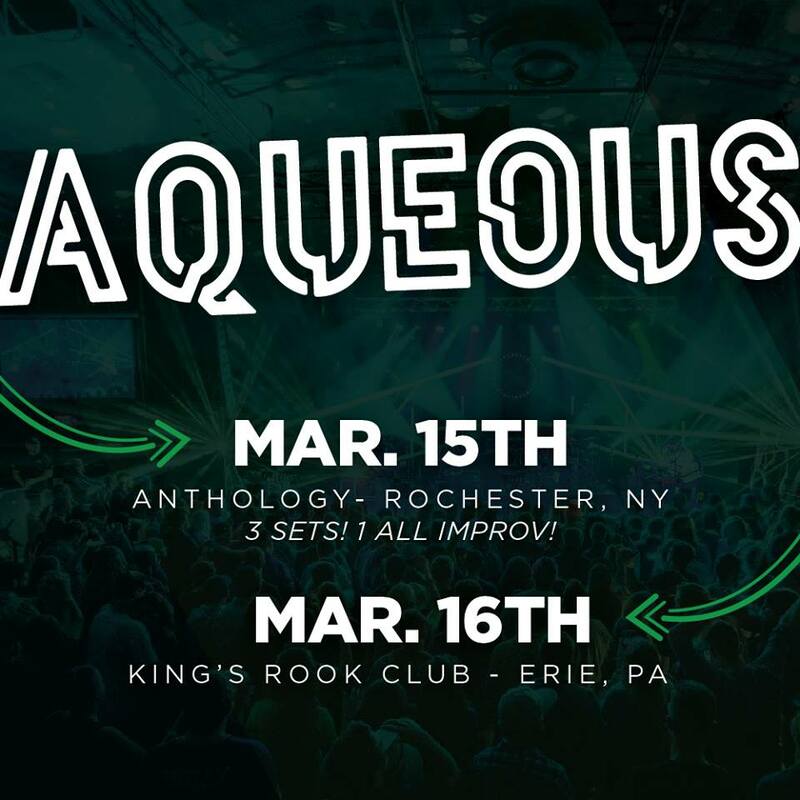 Next, King’s Rook Club in Erie, PA will host Aqueous on March 16. We couldn’t be more excited to head west. The band has played Colorado several times now and it almost feels like a second home to us. We always feel so much love there. 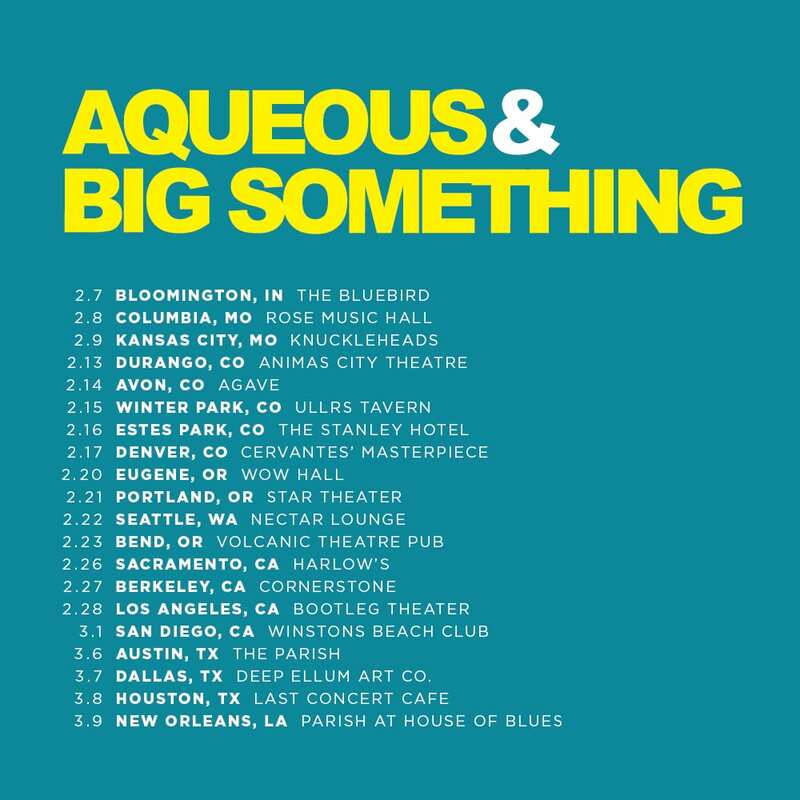 This will, however, be the band’s first venture out to the West Coast. 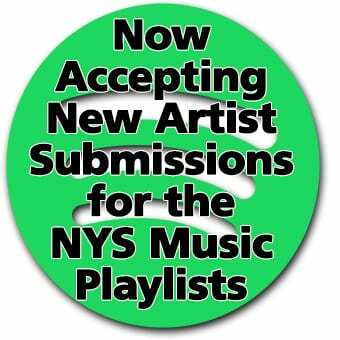 We’ve been wanting to get out there for a long time now and we’re stoked to finally make it happen. Doing it with our good friends BIG Something just makes it that much better! The band will then bring their maiden voyage south for three shows in Texas before wrapping up in New Orleans.